On Friday, February 8, 2019, Deacon Willie Cheatem, Jr. entered THE MASTER’S Joy as he made the transition from Labor to Reward. Deacon Willie Cheatem, Jr., lovingly called "Buck" by many who knew him, was born November 5, 1937, in Columbia, Alabama, to the parentage of the late Mr. Will and Mrs. Sarah Cheatem. He was one of eight children, with five siblings (Sister Eunice Mae Collins, Sister Chinnie Mae Youngblood, Reverend John Cheatem, Reverend Isaiah Cheatem and Sister Sara Green) preceding him in death. Deacon Cheatem had a love for people and showed that love wherever he went. He also loved his LORD, and at an early age, he joined Midway Missionary Baptist Church in Jakin, Georgia. As told by his older siblings, he went down in the water shouting and came up shouting. This excitement about THE LORD carried him through the years. As a young man, he moved to Florida, and it was there he met the love of his life, Sister Virdell Flanders who became Sister Virdell Flanders Cheatem on January 16, 1959. This union spanned fifty-seven years. GOD blessed this union with children and grandchildren whom Deacon and Sister Cheatem absolutely adored. Two children, John Author Cheatem and Catherine "Baby" Rambeau, and one grandchild, Tina Gosier, preceded him in death. 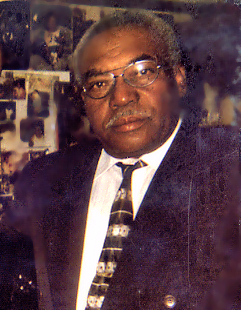 Deacon Cheatem served faithfully as a deacon, member and servant at his membership church, Bethel Missionary Baptist Church in Colquitt, Georgia. It was declining health that finally prevented him from attending, but he hid the Word of GOD in his heart. Those who remember his prayers can recall that he always prayed for those in the nursing home. It was in the Donalsonville Nursing Home that he spent the last few years of his life; he knew his GOD was there. He lived an unselfish life and to continue his legacy are two children, Lashonda Guy (Larry) of Bainbridge, GA, and Patricia Orange of Donalsonville, GA; precious grandchildren; two sisters, Mary Russell (Jim) of Colquitt, GA, and Reverend Kathleen Johnson of Hollywood, FL; one sister-in-law, Idean Cheatem of Colquitt, GA; and two brothers-in-law, James Russell of Colquitt, GA, and Vincent Scott (Danielle) of Bainbridge, GA. He also leaves a host of nieces, nephews and friends to cherish his memory.